Battlefield robot series. Cutting to the cream of the crop. Here at Daioja. Egyptian robots with their samurai warriors are on the move. Breaking apart the kingdoms of Kings and Queens, "Can anyone stop me?" Sharp look on their eyes, they run the battlegrounds. 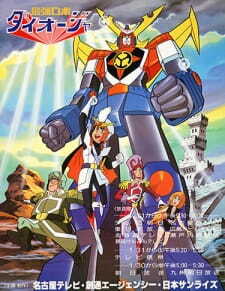 I think somewhere around here, there are more awesome mecha shows like this, excuse me while I think about Egypt.